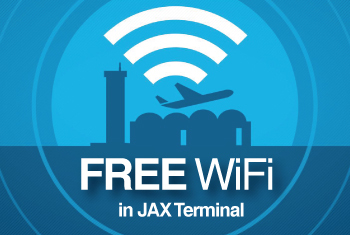 The Jacksonville Aviation Authority, in conjunction with Priva Technologies, announced today it will launch Flex, a new customer service for expedited access to airport security checkpoints, at Jacksonville International Airport (JAX) on Friday, December 30, 2011. This service is in addition to, and does not replace, the existing Preferred Passenger Lane, which allows expedited checkpoint access for premier or first class travelers. Flex card holders and day-pass participants will get consistent, front-of-line access to the TSA ID check at airport screening checkpoints. Flex membership is through an online application at www.Go-Flex.com beginning Friday, December 30. Participants do not have to submit to background checks or provide biometric information. Flex participants can choose either an annual membership at $150 or a one day pass at $20, depending on their travel needs. 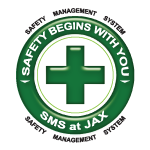 For a limited time, during the JAX launch period, a special introductory rate will be available at $100 for the annual membership. Family and corporate plans are also available by contacting Flex. Additionally, former Registered Traveler members are eligible for a special offer at a reduced price. For enrollment, membership fees, and more information visit www.Go-Flex.com. About Priva Technologies, Inc.: Priva Technologies, Inc. (Priva) develops and provides advanced authentication technologies and transaction processing solutions to the aviation, government, enterprise, and consumer markets. Priva collaborates with airports as well as value-added resellers, consultants, and technology providers to leverage the combined experience, insight, and resources needed to deliver robust solutions quickly and economically. Priva has been recognized by the U.S. Government for its security technology, its unique “trust” system, and its ability to deliver.